Megumi's Stampin Retreat: $5 Paper Pumpkin Flash Sale - ONE DAY ONLY!!! $5 Paper Pumpkin Flash Sale - ONE DAY ONLY!!! Everyone loves a great deal, and this one is AMAZING!!! 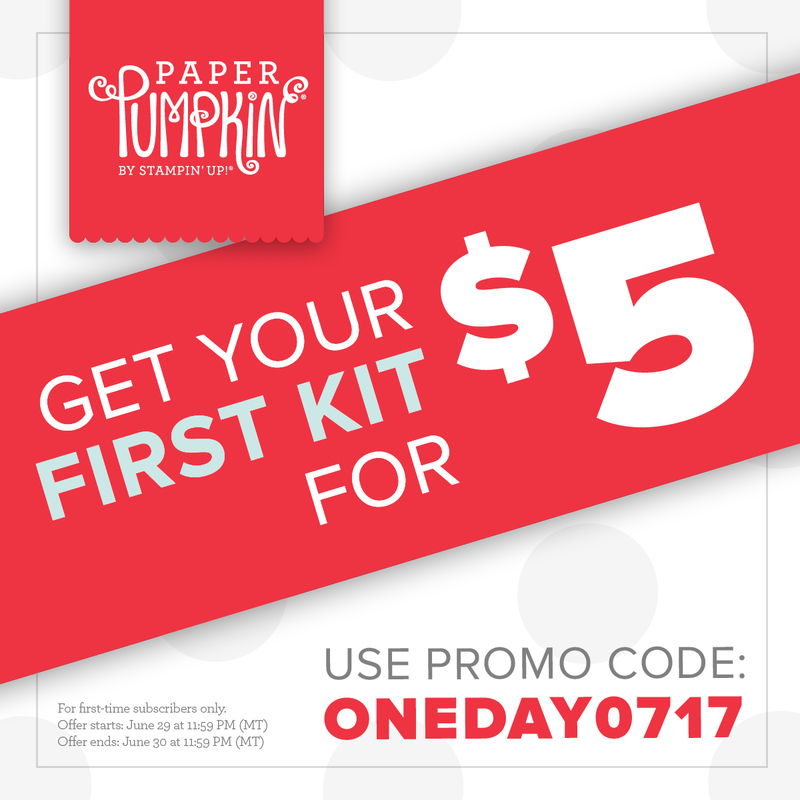 For 24 hours only, new Paper Pumpkin subscribers can receive their first-month kit for only $5. That's a crazy 75% off the regular price. After that creativity keeps coming at $19.95 per month (shipping included). Promotion ends on June 30 at 11:59 (MT). This is truly a great deal! If you haven't tried our Paper Pumpkin, give it a try for a month! You can skip a month whenever you need to (make sure to act by the 10th of every month) or cancel your subscription anytime. Please feel free to contact me (megumih4stamps@hotmail.com) with any questions.